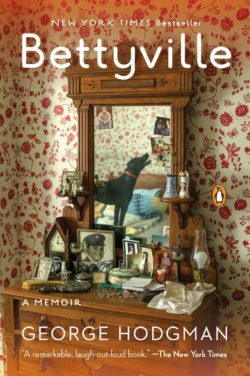 George Hodgeman talks about his wonderful memoir of taking care of his mother in her declining years, Bettyville, first published in 2015 and now out in paperback. Then we re-air our 2011 interview with Dr. Allan Teel about his innovative approach to caring for seniors, called Full Circle. His book is Alone and Invisible No More. When George Hodgman left Manhattan for Paris to visit his aging mother, he didn’t realize it would be the beginning of an unintended tenure as a caregiver. That was Paris, Missouri, not France, and his home town was the last place he thought he would end up living in after a successful career in the publishing industry in New York. For one thing, he had never felt comfortable coming out as a gay man in his home town — it wasn’t even something he had been able to discuss with his parents. He loved both his parents but had a special closeness with his mother growing up. She was a vivacious , beautiful woman but, as with all of us, age caught up with her. When Hodgman made that fateful visit, it was soon clear that she needed more help than he could provide long distance and he stepped up to the plate like the good son he was. But it wasn’t easy for two strong-willed people to negotiate their new roles with each other. George Hodgman is a veteran magazine and book editor who has worked at Simon & Schuster, Vanity Fair, and Talk magazine. His writing has appeared in Entertainment Weekly, Interview, W, and Harper’s Bazaar, among other publications. Our model of caring for the elderly is broken — miserable for seniors and unaffordable for society. But Dr. Allan Teel says he has the solution — commonsensical, cost-effective and a lot more humane. We talked with him in 2011 about his book Alone and Invisible No More: How Grassroots Community Action and 21st Century Technologies Can Empower Elders to Stay in Their Homes and Lead Healthier, Happier Lives.